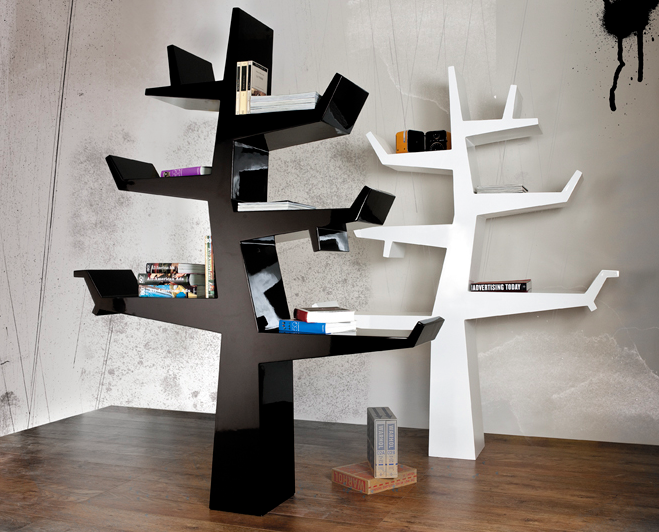 This is the original Wintertree bookcase designed by the Italian company Twentyfirst. I'm not sure of the price but I'm guessing it is well over $1500. It is available in black and white lacquer. 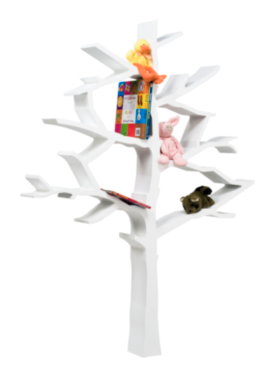 Nurseryworks has a similar design, the Tree Bookcase, for $850 available in snow and forest green. This design actually looks more like a tree and is a nice way to add some 3-dimensional design into your nursery or playroom. Wouldn't three of either look stellar along a long wall? 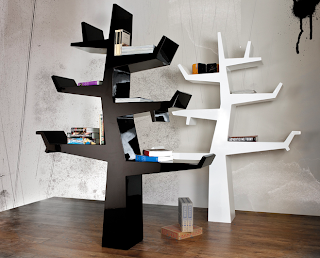 I think the Wintertree design is more functional with more storage shelving for actual books but the Nurseryworks bookcase looks more like a tree. LOVE LOVE LOVE the book tree!! So cute!! !